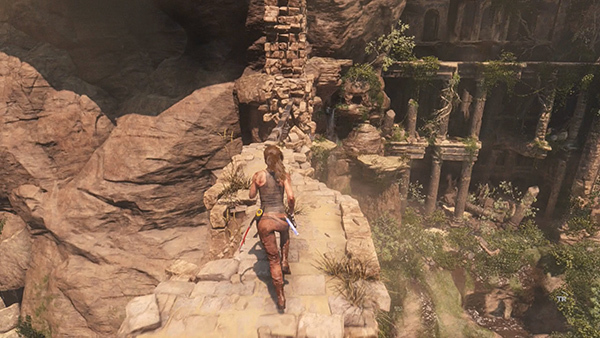 Obviously you're headed for the gorgeous ruins ahead. 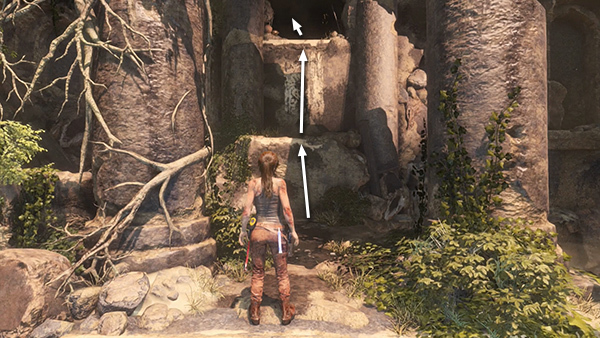 Survival Instinct reveals the exact location of the tomb's entrance. 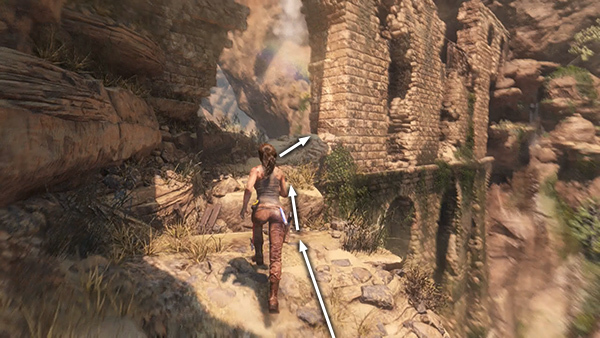 To get there, follow the path to the left, jumping across the shallow gap. 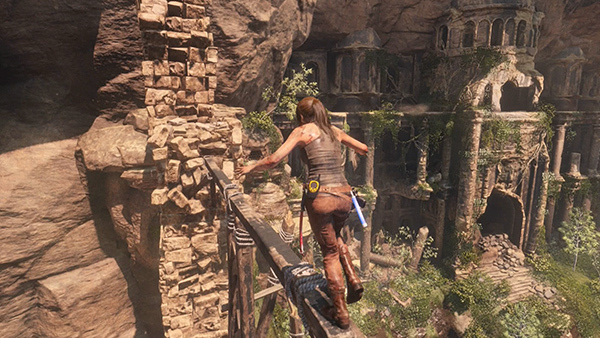 Approach the stone wall, jump toward it and then quickly press Jump again to scramble up and grab the handhold above. 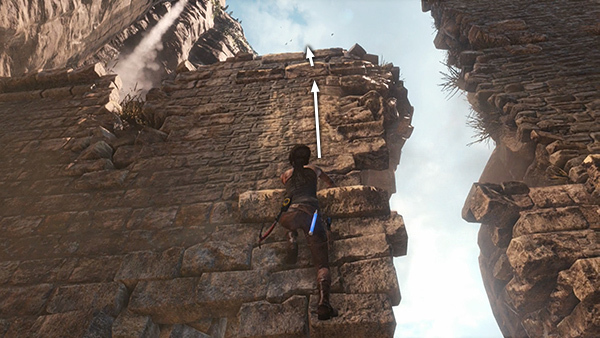 Climb around the corner to the left. Then jump up to grab the next higher handhold. Climb to the left then jump across the gap to grab the handhold on the other side. 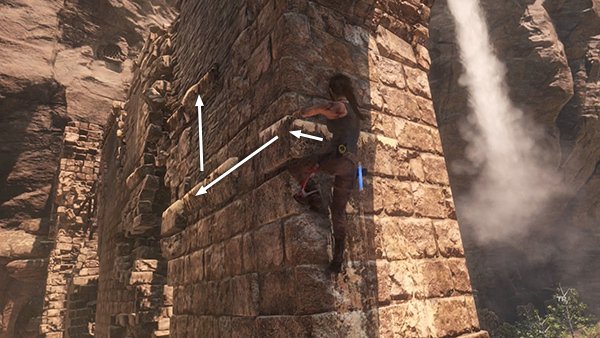 Scramble up the wall to the handhold above and then climb on top of the wall. As you do this a helicopter passes overhead. Bad guys inbound! Turn left and move along the top of the wall. As you attempt to cross the narrow beam it gives way, tilting precariously forward. 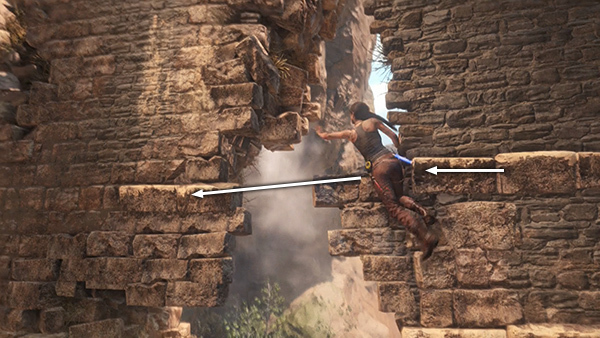 Move to the end of the beam and jump down onto the square column ahead. 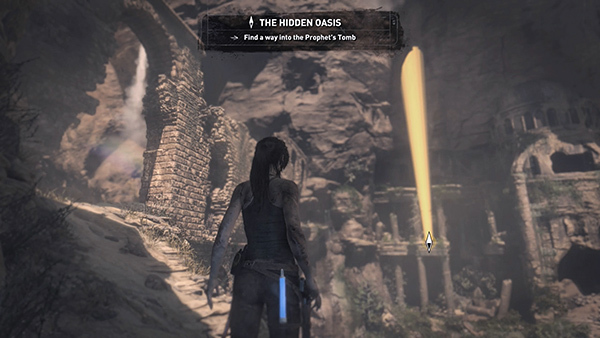 It also begins to topple, so quickly jump down onto the ledge ahead. 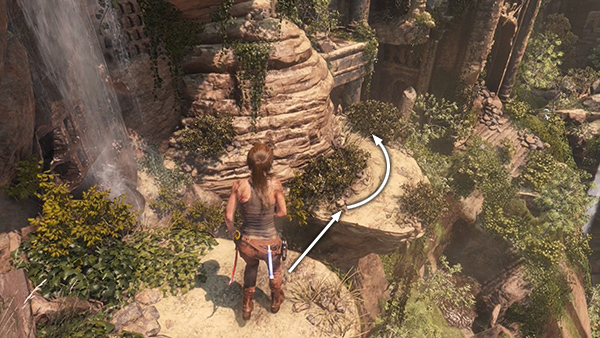 Jump down to the next ledge, ahead on the right, and move around to the far end of it. 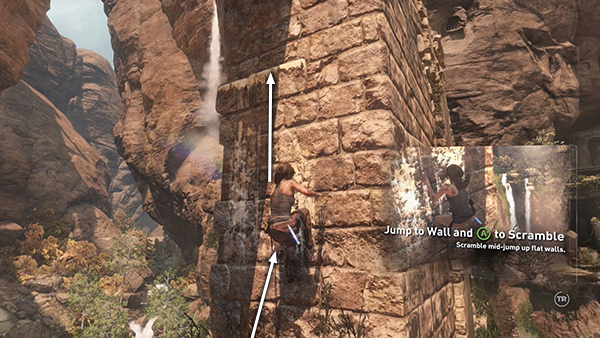 Jump and grab the narrow ledge that runs along the front of the building. 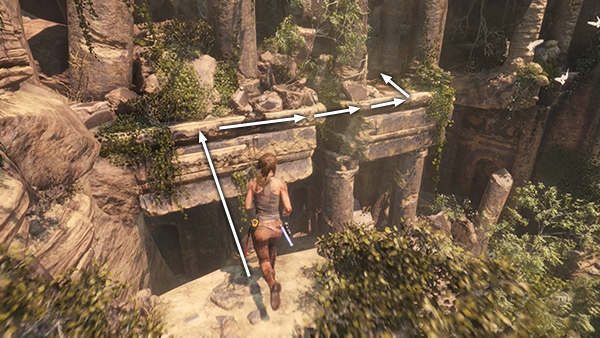 Climb to the right, jump past the gap in the ledge and pull up. 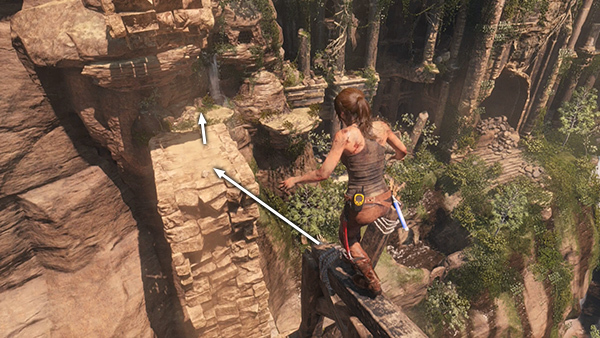 Climb the ledges directly ahead and go inside.